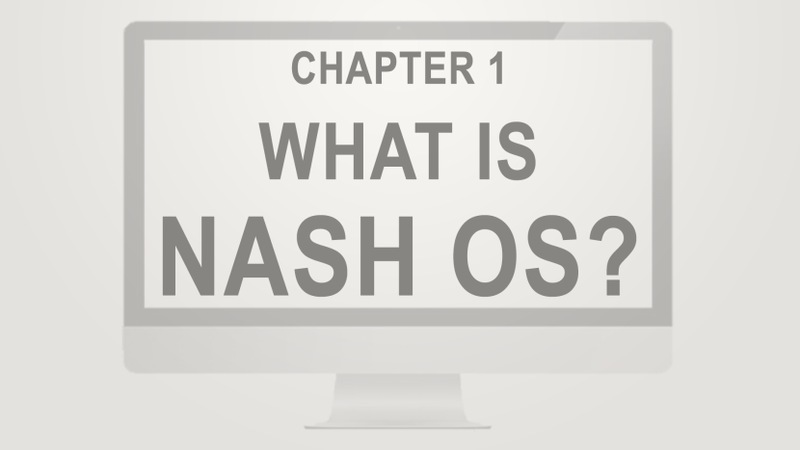 All About Nash Operating System. Over 25,000 Features and Tools. Nash Operating System 2016 SP8 Released! 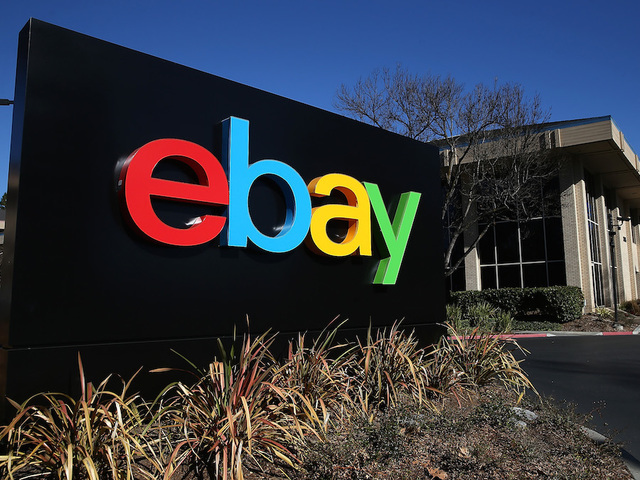 We have been contacted today by eBay’s merging businesses department to acquire Nash OS platform at mega-multi-digit paralyzing number! We have one day to accept/reject this offer from the main and only opposing platform we have currently. Frankly, I do not see any reason to decline except one which is… Today is April Fool’s Day! Nash Operating System 2016 SP7 Released! In chapter nine of the Nash OS for Beginners 2016 Foundation Course, we’re going to explore what Nash OS Help Center is, and what it’s capable of. Hello and welcome back. As of now, we’ve learned what Nash Operating System is and how it makes the best e-commerce platform, we will continue our tutorial series with the Nash OS Member Help Center overview. This is only a foundation course, therefore, a quick look at what Member Help Center has to offer. Please keep your eyes on our upcoming series of advanced tutorials where we’ll go into a greater detailed course that talks about each feature or a combination of features that work in concert in Member Help Center. Keep in mind that Nash OS is a fully scalable e-commerce platform that can be tuned to anything you have ever imagined. 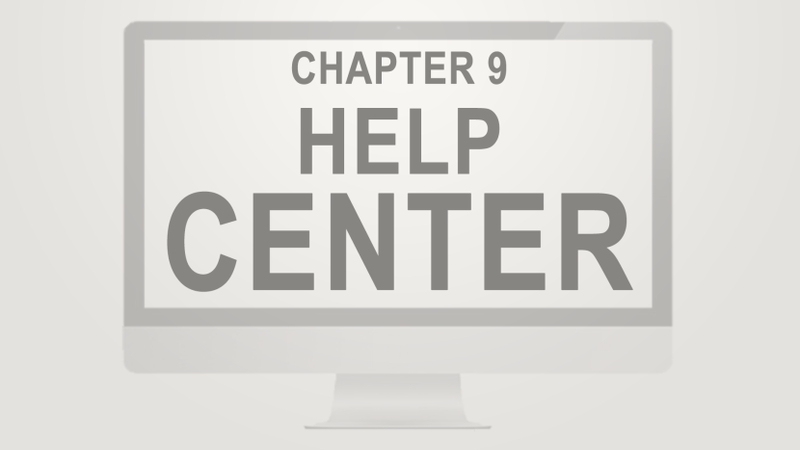 Let’s go ahead and navigate to the Member Help Center, where you find complete help and support area for your website. In the center of the screen, you can see the list of questions and answers that are posted by you and your members. In other words, Member Help Center allows members help members. Everyone is welcome to share the knowledge of your website. If a question about your website looks like no one knows an answer, then you can step in to provide your answer. Keep in mind, you can have as many categories set in admin panel to display in Member Help Center. Needless to mention, anyone can search questions and answers using the search feature. The Nash OS Member Help Center is a combination of features, including ‘report abuse’ feature, ‘useful answer’ feature, ‘improve this page’ feature, as well as links to member’s stores, feedback, and how many answers, members have given as far, which is very useful for those who have questions for specific users to answer. Having said that, all answerers are sorted by top answerers. Now let’s look at what alternatives to Member Help Center the Nash OS has to offer. First is The Admin Help Center is another way to help your members without the need of members to pitch in, and can be fully controlled from the admin panel, where you set all the categories, subcategories, questions and answers, all yourself. Second is The Internal Live Help which allows members to ask questions from website admins in the form of a live chat, which can be really useful when your members need an immediate help from you. Third is The External Live Help which allows doing the same as The Internal Live Help except it can use 3rd party Help Desk. Nowadays Nash OS powers more than 3,000 websites and it’s a popular e-commerce platform on the web, so if you’re wanting to build a web presence whether it’s an e-commerce website or online classifieds or a website for your business, Nash OS is a very solid choice. The true power of Nash OS comes from its scalability there are over 25,000 features and tools that you can use to customize your website to exactly how you wanted. So to sum up: Nash OS has the most powerful selection of various help tools and features that can be scaled up and done to make your website unique and professional. Now that you know a little bit more about Nash OS Member Help Center, let’s talk about Nash OS Multi-Channel Selling. Nash Operating System 2016 SP6 Released! 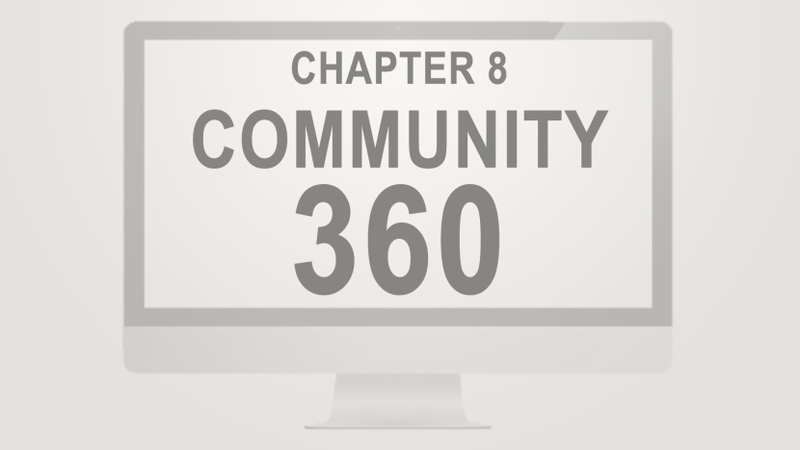 In chapter eight of the Nash OS for Beginners 2016 Foundation Course, we’re going to explore what Nash OS Community-360 is, and what it’s capable of. Hello and welcome back. As of now, we’ve learned what Nash Operating System is and how it makes e-commerce as its main platform, we will continue our tutorial series with the Nash OS Community-360 overview. 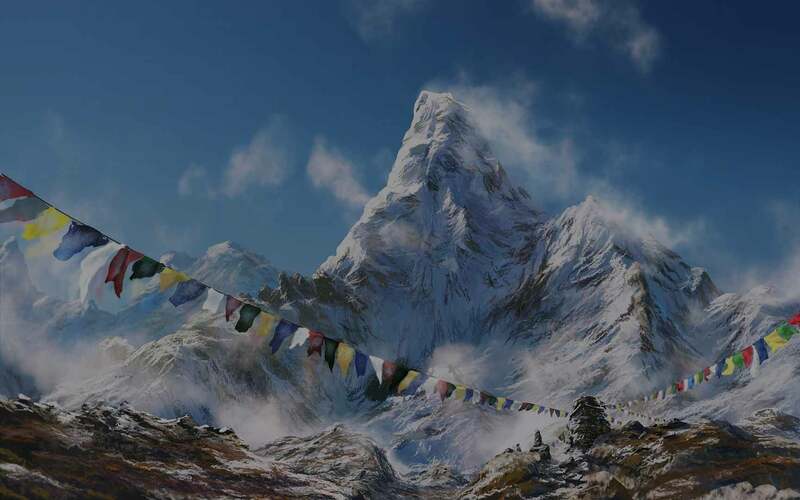 This is only a foundation course, therefore, a quick look at what Community-360 has to offer. Please keep your eyes on our upcoming series of advanced tutorials where we’ll go into greater detailed chapter by chapter course that talks about each feature or a combination of features that work in concert in Community-360. Keep in mind that Nash OS is a fully scalable e-commerce platform that can be tuned to anything you have ever imagined. Let’s go ahead and navigate to the Community-360, where you find a complete social portal for your website. In the center of the screen, you can see the list of all available areas such as neighborhood, forums, groups, chat rooms, blogs, wanted ads, classifieds, giveaways, arcade room, category cloud, and keyword cloud. First is the link that opens neighborhood where we find every member from closest to farthest distance-wise. Second is the link that opens forums where we find your website forums with topics created by you or your members. Third is the link that opens groups where we find all your website private or public groups with announcements, discussions, photo albums, event calendars, polls, which are created by you or your members. The groups section of Community-360 is your golden opportunity to built the most appreciated place for your members to hang out and share their input as well as tell everyone they know about your site via facebook, twitter, google plus, and etcetera. The fourth is the link that opens chat rooms where we find a place to live chats with people being able to have their questions answered right away or just talk about anything in a live feed manner. Just like any live chat except it is also S-E-O friendly feature which allows to let the search engines crawl through its content. Next is the link that opens blogs where we find your website blogs created by you or your members. This is a typical blog that you can find elsewhere, but instead of forcing yourself or your members to blog elsewhere, they can do it all directly on your website which is what your website needs after all to become a golden egg for search engines. Next is the link that opens wanted ads where we find your website wanted ads. It is one of the coolest features in Community-360 that allows members to ask others for things that they are wanting to find. Needless to say, you can even charge a fee for posting such ads. Next is the link that opens classifieds where we find your website classifieds. It is one of the coolest features in Community-360 that allows members to post a typical classified ad, just like the one on Craig’s List or your local newspaper. Needless to say, you can even charge a fee for posting such ads. Next is the link that opens giveaways where we find sellers attracting more buyers to their items-for-sale via offering some items as giveaways. Next is the link that opens arcade room where we find a place for your members to kick back and relax playing online games. The Nash OS community area is a major combination of features and has one of the best S-E-O benefits of running Nash OS e-commerce platform. Unlike other popular e-commerce platforms that claim to be the best while lacking the most important section of any e-commerce website which is a community, therefore forcing to use a third-party communities and software. Nash OS helps to eliminate the need to sending all users to elsewhere. Nowadays Nash OS powers more than 3,000 websites and it’s a popular e-commerce platform on the web, so if you’re wanting to build a web presence whether it’s an e-commerce website or online classifieds or a website for your business, Nash OS is a very solid choice. The true power of Nash OS comes from its scalability there are over 25,000 features and tools that you can use to customize your website to exactly how you wanted. So to sum up: Nash OS has the most powerful Community-360 that helps admins to make their websites sticky by having members to return at a greater rate than any other e-commerce platform. Now that you know a little bit more about Nash OS Community-360, let’s talk about Nash OS Help Center and how it can be tuned to exactly how you want your members to receive your help or help from other members. 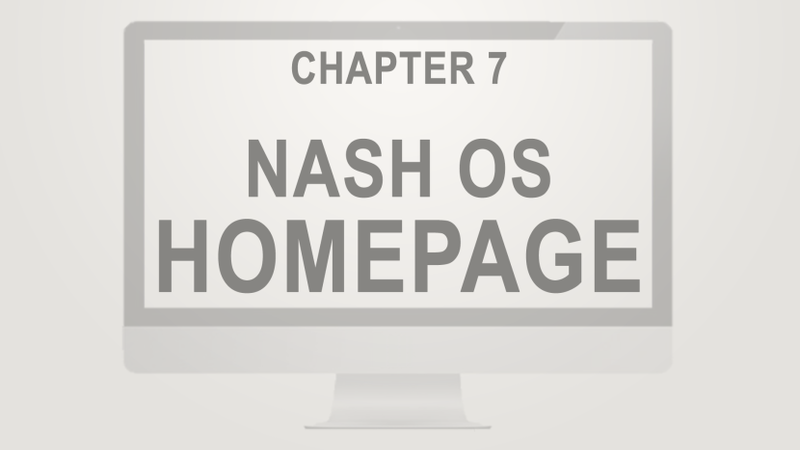 In chapter seven of the Nash OS for Beginners 2016 Foundation Course, we’re going to explore what Nash OS Homepage is, and what it’s capable of. Hello and welcome back. As of now, we’ve learned what Nash Operating System is and how it makes e-commerce as its main platform, we will continue our tutorial series with the Nash OS home page overview. This is only a foundation course, therefore, a quick look at what home page has to offer. Please keep your eyes on our upcoming series of advanced tutorials where we’ll go into greater detailed chapter by chapter course that talks about each feature or a combination of features that work in concert on the home page. Keep in mind that Nash OS is a fully scalable e-commerce platform that can be tuned to anything you have ever imagined. Let’s go ahead and navigate to the home page, where you are greeted as well as provided with current items, links to various pages of a website that runs on Nash OS. At the top of the screen, you can see the main navigation bar that is organized into links and sub-links. First is the login link that opens login page, or if you are already logged in then it is replaced by logout link. Second is the register link that opens registration page to allow a visitor to sign up for an account on the website. Third is the daily deals link that opens a list of items which currently available on the website. Next is the members link that opens a dropdown with a series of sub-links that lead to various views in the member area. Next is the sell link that opens a dropdown with a series of sub-links that lead to various selling views when you’re a seller on the website. Next is the community link that opens a dropdown with a series of sub-links that lead to various views in the community area, such as forums, blogs, chats, photo galleries, private clubs and groups, and much more. The Nash OS community area is a major combination of features and has one of the best SEO benefits of running Nash OS e-commerce platform. Unlike other popular e-commerce platforms that claim to be the best while lacking the most important section of any e-commerce website which is a community, therefore forcing to use a third-party communities and software. Nash OS helps to eliminate the need to sending all users to elsewhere. Next is the help link that opens a dropdown with a series of sub-links that lead to various views in help area, as well as to legal pages. Next is the buy link that opens a dropdown with a series of sub-links that lead to various buying views and available to everyone and not just to sellers. Below the navigation bar, you can see a slideshow that allows you to use it as a billboard and display banners, items, graphically designed links, as well as any sort of HTML, videos, and much more. Just so you know, the slideshow is controlled in the admin area and can be changed to suit any sort of look, design, or requirement. Keep in mind that the slideshow can also be turned off from admin panel. The featured items section is located below the slideshow and shows a preset number of featured items which controlled from admin panel as well. There is a view all link that allows visitors to click to go to view all featured item pages. Below featured items section, you find a split view, a section on the left which is allocated for category list, spotlighted stores, users, items, web site news, stats, and much more. You can scale the section up and down from admin panel. The right bigger section is allocated for items, specialty links, categories, community, and a lot more. All of the subsections of this bigger section have links to view all available items, articles, community pages, you name it, which are all controlled by admin. Finally, at the bottom of the homepage, we have a footer, which contains a magnitude of links to pages on the website. What you see in this tutorial, is the smallest portion of all available features and tools that can be enabled by admin. Use of every available feature and tool on a homepage is discouraged, please use only ones that are specific to your type of business and are absolutely necessary. Other than that, you are free to tune your website with Nash OS to any sort of business niche. Nowadays Nash OS powers more than 3,000 websites and it’s a popular e-commerce platform on the web, so if you’re wanting to build a web presence whether it’s an e-commerce website or online classifieds or a website for your business, Nash OS is a very solid choice. The true power of Nash OS comes from its scalability there are over 25,000 features and tools that you can use to customize your website to exactly how you wanted. So to sum up: Nash OS has the most powerful home page that helps admins to make a real full time income right out of their laptops, as well as buyers to find what they are looking for at a faceted level, as well as to allow sellers a greater control over their items than other infamous e-commerce platforms, that only took time to market a slogan: BUILT BY PEOPLE FOR PEOPLE, but in reality, they sell sub-standard platforms that can only become better after you buy their extra mods and plug-ins. If you know nothing but them then you can continue spending there, otherwise get the most affordable, all built in one, ready to go out of box, easy to use, state of the art, and really awesome Nash OS e-commerce platform to save millions of trees, as you will need a lot less paper to own everything out of the box and most importantly, from one developer, instead of tens of different developers who couldn’t care less if their mods will work with other developers mods. Now that you know a little bit more about Nash OS home page, let’s talk about Nash OS Community-360 which is S-E-O friendly forums, blogs, galleries, clubs, groups, chats, calendars, arcade rooms, and everything in between. In chapter six of the Nash OS for Beginners 2016 Foundation Course, we’re going to explore what Nash OS Member Area is, and what it’s capable of. Hello and welcome back. As of now, we’ve learned what Nash Operating System is and how it makes e-commerce as its main platform, we will continue our tutorial series with the Nash OS member area overview. This is only a foundation course, therefore, a quick look at what member area has to offer. Please keep your eyes on our upcoming series of advanced tutorials where we’ll go into greater detailed chapter by chapter course that talks about each feature or a combination of features that work in concert inside the member area. Keep in mind that Nash OS is a fully scalable e-commerce platform that can be tuned to anything you have ever imagined. Let’s go ahead and navigate to the member area to see your summary view, where you are greeted as well as provided with statistics of your account. In the middle of the screen, you can see My Summary view which is organized into sections to provide detailed information about your item statuses. You can see various totals and overall important details such as your item formats, titles, prices, and much more. The first column from the left is the My Views bar, which is the place to find and navigate all of the features, tools, controls, toggles, settings in the member area. It’s imperative that you take few hours of your time for at least a week to learn Nash OS terminology to be able to find anything in the member area. Alternatively, if you have no such time then you can take Live Private Express Lessons by Nash that will answer every question you may have within 4 days and much more. Let’s go on today’s subject, which is a quick look at what member area has to offer. In My Views bar, all features are organized into sections: Credit Center, Customize Settings, My Summary Settings, My Messages Settings and Management, Buy Management, Sell Settings and Management, Escrow Center, Organize Saved Lists Settings and Management, My Banners Settings and Management, My Account Settings and Management, Community Settings and Management, as well as optional Item Count Refresh Manual Control. Each section has subsections which allow to a faceted control over each feature or tool. Since admin panel controls set of features in the member area, as a result of that, member area may look differently from site to site. For example, a classifieds-based website will have classifieds as a primary business, therefore, member area look will reflect that. Or, half-price format website will have another look, and so forth. Various item formats can also transform member area one way or another. Users can also custom change the looks of member area as well as re-organize what items to show and which should be hidden. Nowadays Nash OS powers more than 3,000 websites and it’s a popular e-commerce platform on the web, so if you’re wanting to build a web presence whether it’s an e-commerce website or online classifieds or a website for your business, Nash OS is a very solid choice. The true power of Nash OS comes from its scalability there are over 25,000 features and tools that you can use to customize your website to exactly how you wanted. So to sum up: Nash OS has the most powerful member area that puts your users in control that helps them be and feel more professional, unlike other infamous e-commerce platforms, that only took a time to market to masses before making sure their member areas are 100% professional from inside out. Now that you know a little bit more about Nash OS member area, let’s talk about Nash OS homepage. In chapter five of the Nash OS for Beginners 2016 Foundation Course, we’re going to explore what Nash OS Admin Panel is, and what it’s capable of. Hello and welcome back. As of now, we’ve learned what Nash Operating System is and how it makes e-commerce as its main platform, we will continue our tutorial series with the Nash OS admin panel overview. This is only a foundation course, therefore, a quick look at what admin panel has to offer. Please keep your eyes on our upcoming series of advanced tutorials where we’ll go into greater detailed chapter by chapter course that talks about each feature or a combination of features that work in concert as well as various ways to scale up and down Nash OS to meet your business needs. Keep in mind that Nash OS is a fully scalable e-commerce platform that can be tuned to anything you have ever imagined. Let’s go ahead and navigate to the admin panel to see the welcome screen, where you are greeted as well as provided with statistics of the entire website. The stats are located in the center of the screen and provide rich detailed information on how your site progress on a daily basis. You can see various totals and overall important details such as where your members heard about your website as well as document links and nash tech support. Needless to mention, a direct access to nash help desk also available on the welcome screen. Sorry, but Nash Help Desk access is available to registered nashers only. The second column from the left is the server-end diagnostics, which let you see current health status of your server. Anything in red in this column is a problem for Nash OS to continue running properly, therefore, it should be addressed as soon as possible by contacting your host, so he can fix it for you. Keep in mind, Nash OS developers are not responsible for the server issues unless you host your website on Nash Server. Yes! Nash OS developers do offer to host websites based on Nash OS platform. Such service is offered as the best alternative to seeking suitable server for Nash OS to run. Ask yourself a question: Who can have the most suitable server for Nash OS, if not the actual developers of Nash OS? That’s practically applicable to any developer that also offers hosting service. The first column from the left is the navigation bar, which is the place to find and navigate all of the features, tools, controls, toggles, settings in Nash Operating System. At the top of the navigation bar, you can see the FIND field and two buttons to collapse and expand all boxes in the bar. It’s imperative that you take few hours of your time for at least a week to learn Nash OS terminology to be able to find anything in Nash OS. 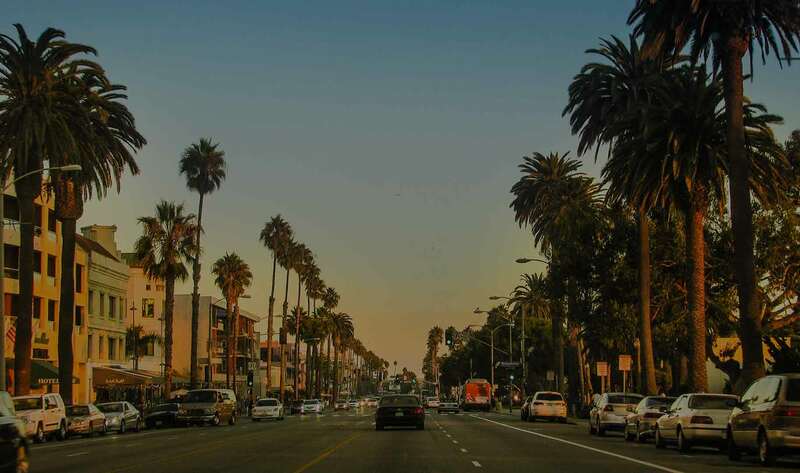 Alternatively, if you have no such time then you can take Live Private Express Lessons by Nash that will answer every question you may have within 4 days and much more. 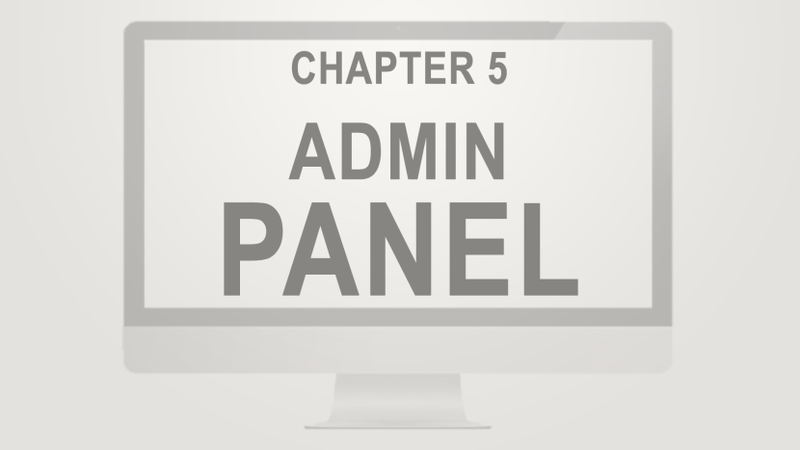 Let’s go on today’s subject, which is a quick look at what admin panel has to offer. In navigation bar, all features are organized into sections: General Settings, Enable or Disable Settings, Tables Management, Templates Management, Picture Manager, Credit Center, Escrow Service, Member Management, Security Settings, ID Verification Settings and Management, Dispute Management, My Messages Management, My Notifications Management, Auctions Management, Want-It-Now Management, Classifieds Management, Stores Management, Multi-Channel Selling Management, Categories Management, Community Settings and Management, Charity Management, Site Content Settings and Management, Site Fees Settings and Management, Site Tax Settings, Vouchers Management, Site Accounting Management, Tools Management, as well as Site Cron Jobs Management. Nowadays Nash OS powers more than 3,000 websites and it’s a popular e-commerce platform on the web, so if you’re wanting to build a web presence whether it’s an e-commerce website or online classifieds or a website for your business, Nash OS is a very solid choice. The true power of Nash OS comes from its scalability there are over 25,000 features and tools that you can use to customize your website to exactly how you wanted. So to sum up: Nash OS has the most powerful admin panel that puts you in control, that you can virtually build anything, an online store, classifieds, business websites, the possibilities are endless. Now that you know a little bit more about Nash OS admin panel, let’s talk about Nash OS members area, which is going to be the epic size eye-opener you’ve ever had. 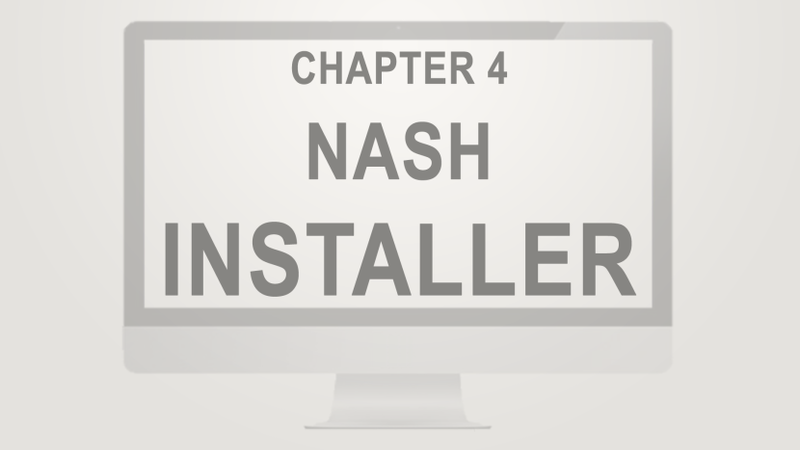 In chapter four of the Nash OS for Beginners 2016 Foundation Course, we’re going to explore what Nash Installer is, and what it’s capable of. Hello and welcome back. Taking back the e-commerce does require best of the best, the superior platform that can disrupt a monopolized and stagnant e-commerce. To start taking back what belongs to all of us and not just to corporations and venture capitalists, you will need to download the Nash Self Installing Application, which will install Nash OS for you. You can find Nash Self Installing Application all over the web as of now, however, quickest and easiest way to find the app is by visiting Nash Community Blog, where you will be able to navigate to the app’s download link. Keep in mind, the app is inside the zip file, therefore once downloaded the zip file to your desktop, please unzip it first, then proceed to install the Nash App to your desktop. When finished, double-click the app to open it. Before making any selection from the drop-down list, make sure, your server meets all hosted server requirements, otherwise the application will not be able to correctly install Nash OS for you. Next, proceed to fill out your hosted server FTP logins: address also known as a domain name, port number, which is normally 21, username and password. There are 2 different apps available in the list, so choose Nash OS as we discuss it right now. The second app is Proto Penny, it is superior penny auction platform and provided as an easter egg per se. Once all fields and selections completed, simply click on START button, to let application start an installation of Nash OS for you. As you have noticed so far, there are 3 tabs at the top of the window: Connect tab, Messages tab, and Directory tab. They will guide you through 2 step installation. The first step is to fill out all required fields and press START button, and the second step is to select directory or subdirectory on your server where Nash OS should be installed to. Needless to say, that application cannot know on its own whether you wish to install Nash OS in your root directory or subdirectory, therefore, step 2 will ask you to choose the exact location on your server for Nash OS installation. It takes less than 2 minutes for the application to complete entire installation and to allow you to see the messages tab with all installation logs. Also, this tab will display some necessary details for your future reference. So please make sure you do not skip checking the logs inside the messages tab. If you have any questions that come across during installation, please let us know via Nash Community Blog and we will always help you sort things out as soon as possible as long as we get a full complete description of any issue including screenshots with steps to reproduce the same issue on our own end. The first thing you do once you see Nash OS was successfully installed and ready, is to navigate to admin panel and change website defaults. Congratulations, you’re now a proud nasher of Nash OS! You can enjoy running Nash OS, but if you ever need us to actually provide any type of tech support as well as to upgrade to new versions, then you will need to register your website with Nash Help Desk first and purchase an edition that is best for you. To be absolutely clear, a free edition of Nash OS is free of everything including the cost of purchase, the tech support, upgrades, instant live help from nash personally, and et cetera. So to sum up: Nash Self Installing Application is another way to take back the e-commerce with Nash OS. Now, that you know a little bit more about Nash Self Installing Application, let’s talk about Nash OS admin panel. In chapter three of the Nash OS for Beginners 2016 Foundation Course, we’re going to explore what Nashload.com is, and what it’s capable of. Hello and welcome back. Chances are if you have visited Nash Help Desk, you’d have seen the big button that says: Rent By Month. 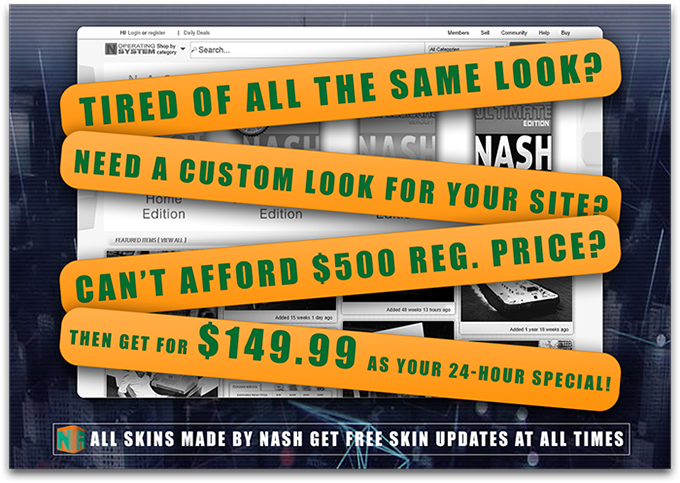 Clicking the button opens Nash Load.com website, where anyone can have an e-commerce in less than 10 minutes. How’s it possible to have a website in such a short timeframe? A non-technical answer would be that your future website is embedded into the server variables and all you need to do is to fill out those variables in the form provided to you on the homepage. 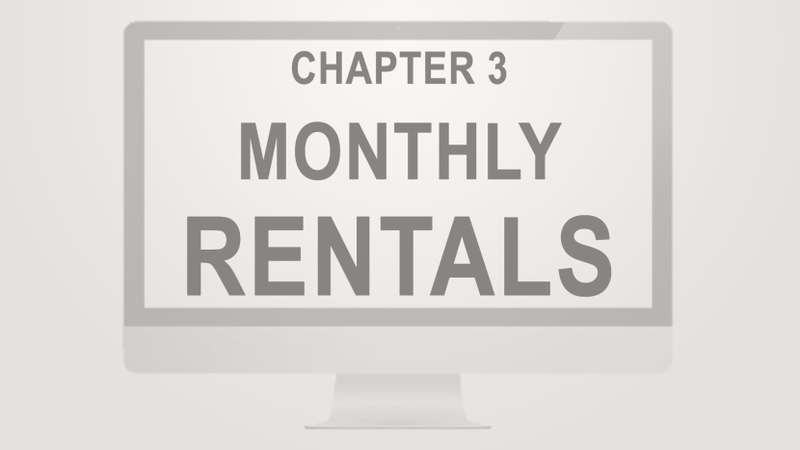 NashLoad.com is a place to rent Nash OS on a monthly basis. First of, you would like to take a tour to see what Nash OS has to offer. If you have any questions toward Nash OS rentals then you’d click to visit ‘about us’ pages where you can find more information on terms, privacy, website types, DMCA, and complaints if any. Once finished, then proceed to the actual website set up. You start by clicking on START A SITE button. Proceed to choose an address for your website name. Next, choose a username for your website’s admin panel. Next, choose a password for your website’s admin panel. Do not forget to re-type the password. Next, put your PayPal email to activate your website. Next, choose your monthly plan from several different ones. It is needless to repeat that you agree to NashLoad.com service terms by creating your website. Finally, click on CREATE SITE button, which takes you to next view where you must verify and confirm all fields before making your first payment. Once completed a payment, you will be greeted with a message that states your website is being built. It takes between 5 and 10 minutes to complete your website set up. During waiting time, you will receive a welcome letter into your email that you provided previously. Make sure to save your welcome letter that has all the required details you will need to access and run your website. The good part is that you will be automatically notified on your screen when your website is ready. The first thing you do once you see your website ready is to navigate to admin panel and follow details provided inside your welcome letter. Finish up details in admin as per letter and you are good to go! Congratulations, you’re now a proud nasher of Nash OS! You can enjoy renting Nash OS, but if your site grows exponentially, then you might want to look into, actually owning your own site, instead of renting by purchasing Nash OS license, and host your own website, which allows to use your own domain, instead a rented domain. So to sum up: Renting Nash OS is another way to take back the e-commerce with Nash OS. Now, that you know a little bit more about NashLoad.com, let’s talk about Nash Self Installing Application – The app to get Nash OS for free! 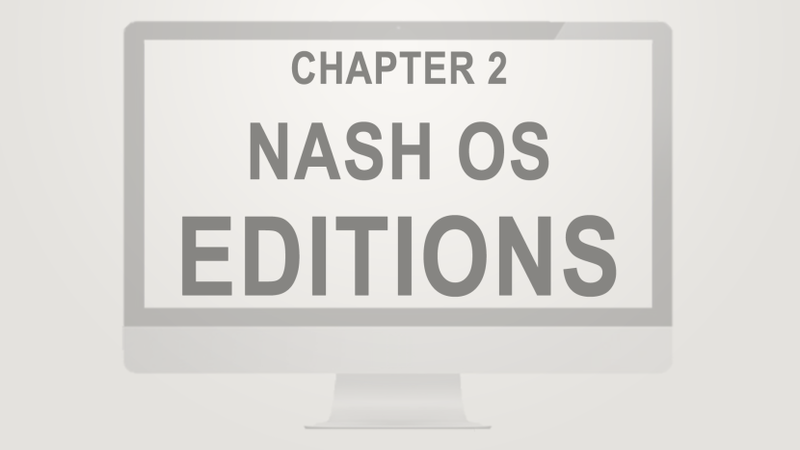 In chapter two of the Nash OS for Beginners 2016 Foundation Course, we’re going to explore Nash OS Editions, and what options are included with each. Hello and welcome back. Chances are if you have googled Nash OS, you’d have seen top 4 results of Nash editions, which are Home, Home Premium, Professional, and Ultimate editions. What is the difference? 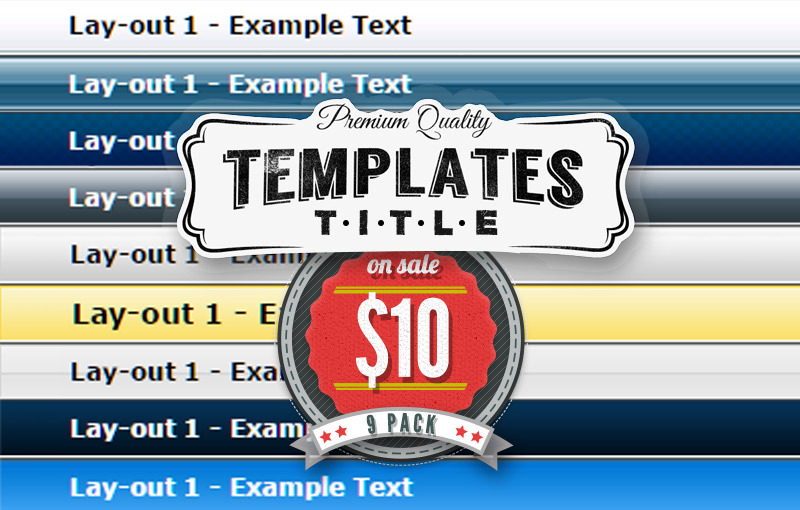 Simply put each edition has a different price based on a number of included options. What that means that if you purchase Home Edition then it will include one set of options. But if you purchase Home Premium Edition then it will include a different set of options. Some options could be similar but will have an extended coverage. Let’s look at editions one by one to see which options each edition comes with. First, from left is Home Edition and it comes with Free Installation only. 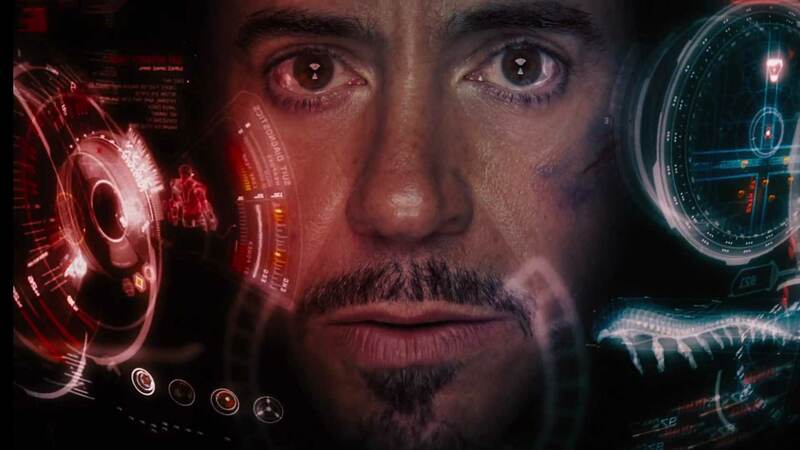 However, it does, in fact, have all the features and tools as being advertised. The drawback of purchasing low priced edition that you will lose 24/7 tech support, access to upgrades and new versions of Nash OS. But if you prefer DIY over Nash Tech Support then it is probably the best choice for you. Also, NBulker – The Bulk Listing Application is excluded in this edition. Second from left is Home Premium Edition and it comes with Free Installation as well as with tech support and upgrades for 1 year. Which means this edition will let you take advantage of superior Nash Tech Support and will keep your website up to date with the latest development. Not to mention all features and tools are included without missing anything. Keep in mind NBulker – The Bulk Listing Application is excluded in this edition as it only comes with Ultimate Edition. Third from left is Professional Edition and it comes with Free Installation as well as with lifetime tech support and upgrades. Compare to Home Premium edition where you have to re-purchase every year in order to keep the premium option of tech support and upgrades, in Professional Edition, you will never need to re-purchase Nash OS again. Pay once per lifetime. Keep in mind NBulker – The Bulk Listing Application is excluded in this edition as it only comes with Ultimate Edition. Finally, Fourth from left is Ultimate Edition and it includes all options from other editions, but adds the best option, I’m talking about NBulker – The Bulk Listing Application which allows importing their eBay listings as well as archive everything for good. It might be too obvious to someone that NBulker is extremely useful when tons of items are needed to be listed at once, but if not then here’s what NBulker can do: list new items, revise, delete, archive, export, import, merge, exchange, upload, download, and much more. Needless to say, NBulker – The Bulk Listing Application can be branded to your website only, which makes it look more professional. By the way, that’s the reason it’s included with Ultimate Edition only as it requires additional tech support and upgrades on the personal level. So to sum up: Any budget can afford Nash OS, however, some additional options can be purchased as premium ones. There are many reasons to upgrade to a better edition but the most important ones are listed in the comparison chart. Now that you know a little bit more about Nash OS Editions, let’s talk about Nashload.com – The place to rent Nash OS on a monthly basis. Nash OS for Beginners 2016 Tutorial Series | Chapter 1: What is Nash OS? In chapter one of the Nash OS for Beginners 2016 Foundation Course, we’re going to explore what Nash OS is, and what it’s capable of. Hello, and welcome to the Nash OS for beginners 2016 foundation course. In this video, we are going to answer the question. What is Nash OS? If you had been looking into building your own website then no doubt you’ve heard about Nash OS. 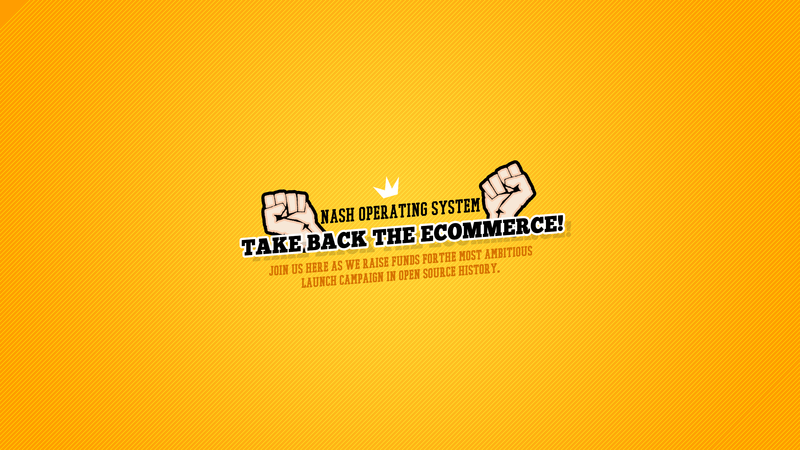 Nash OS is an e-commerce platform as well as a content management system is written in PHP and MySQL. When Nash OS was first released in 2004 as YSP Complete, it was just a simple and straightforward auction platform. Over the years, Nash OS has evolved into a full-fledged e-commerce platform powering e-commerce websites, online auctions, business websites, classifieds, blogs, forums, real estate, just to name a few. Nowadays Nash OS powers more than 3,000 websites and it’s a popular e-commerce platform on the web so if you’re wanting to build a web presence whether it’s an e-commerce website or online classifieds or a website for your business, Nash OS is a very solid choice. The true power over Nash OS comes from its scalability there are over 25,000 features and tools. You can use to customize your website to exactly how you wanted. So to sum up: Nash OS is a powerful e-commerce platform that puts you in control. You can virtually build anything, an online store, classifieds, business websites, the possibilities are endless. Now that you know a little bit more about Nash OS, let’s talk about the differences between Nash OS editions. You’ve probably heard of the Millionaire Next Door, The Richest Man in Babylon, Dave Ramsey’s Total Money Makeover, Rich Dad Poor Dad, Graham’s The Intelligent Investor, Think and Grow Rich, and The Millionaire Mind. I’ve read them all, and many many more just like them. The thing is, they all say about the same thing. 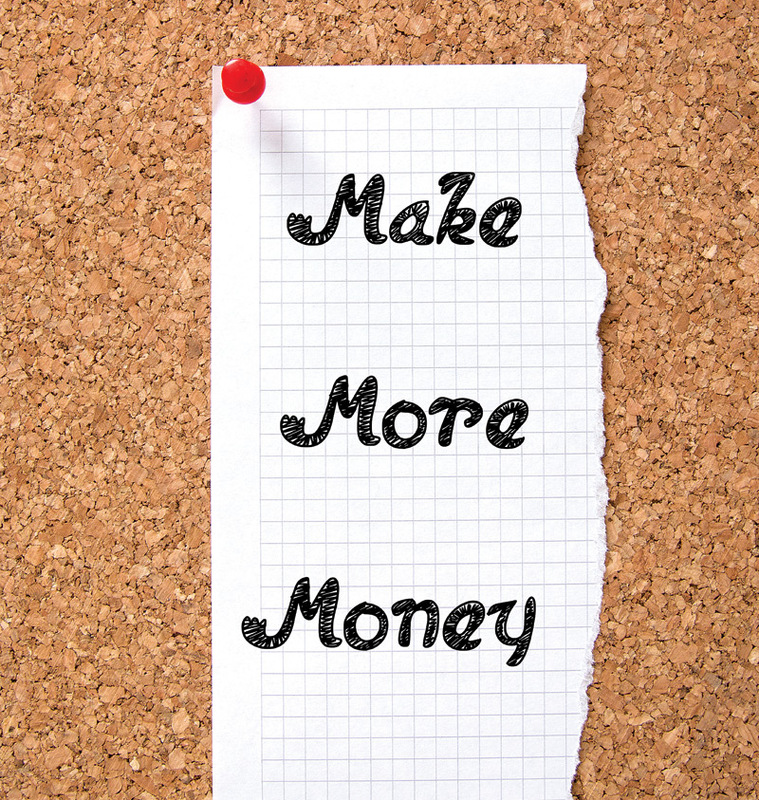 In my experience, if you follow that advice, it will work to generate wealth. In this article, I’ve picked out the top 10 steps you can take to generate wealth for the long haul. Certainly there is some value to reading all of these books, but I for one like to keep things simple. So let’s get started! Here are my top 10 steps to generating wealth. More information on each of these steps can be found in the full article. Nash Operating System 2016 SP5 Released! Minimum version requirements: NASH OS v2016 SP5.